1. Ruth Eleanor Duff was born 12 Aug 1911, Pierce, Pierce Co., Nebraska (daughter of James Robert Duff and Nellie May Buckley); died 16 Jun 1912, Pierce, Pierce Co., Nebraska; was buried 18 Jun 1912, Prospect View, Pierce, Pierce Co., Nebraska. 2. James Robert Duff was born 10 Apr 1858, Huntley, McHenry Co., Illinois (son of Daniel Duff and Waity Matilda Cummings); died 15 Feb 1939, Pierce, Pierce Co., Nebraska; was buried 17 Feb 1939, Prospect View, Pierce, Pierce Co., Nebraska. 3. Nellie May Buckley was born 5 Aug 1877, Wassaic, Duchess Co., New York (daughter of Albert Pinney Buckley and Julia Ett Root); died 21 Feb 1975, Fort Collins, Larimer Co., Colorado; was buried 24 Feb 1975, Prospect View, Pierce, Pierce Co., Nebraska. James Albert Duff was born 18 Nov 1900, Chicago, Cook Co., Illinois; died 17 Mar 1901, Chicago, Cook Co., Illinois; was buried Mar 1901, Huntley, McHenry Co., Illinois. Dorothy Waity Duff was born 16 Jul 1902, Chicago, Cook Co., Illinois; died 30 Nov 1992, Rushville, Sheridan Co., Nebraska. Marion (born Eleanor) Elizabeth Duff was born 15 Apr 1905, Chicago, Cook Co., Illinois; died 18 Nov 1996, Peoria, Maricopa Co., Arizona. Helen Kathryn Duff was born 19 Jul 1909, Pierce, Pierce Co., Nebraska; died 26 Jun 1976, Omaha, Douglas Co., Nebraska; was buried 30 Jun 1976, Prospect View, Pierce, Pierce Co., Nebraska. 1. Ruth Eleanor Duff was born 12 Aug 1911, Pierce, Pierce Co., Nebraska; died 16 Jun 1912, Pierce, Pierce Co., Nebraska; was buried 18 Jun 1912, Prospect View, Pierce, Pierce Co., Nebraska. Virginia Lucile Duff was born 23 Apr 1913, Pierce, Pierce Co., Nebraska; died 4 Aug 1997, Fort Collins, Larimer Co., Colorado. 4. Daniel Duff was born 9 Jun 1818, Dowally, Perthshire, Scotland; was christened , Dunkeld, Perthshire, Scotland (son of Robert Duff and Elizabeth Douglas, Immigrant); died 9 Oct 1892, Chicago, Cook Co., Illinois; was buried 12 Oct 1892, Huntley, McHenry Co., Illinois. 5. Waity Matilda Cummings was born 4 Dec 1827, Truxton, Cortland Co., New York; died 11 Jun 1916, River Forest, Cook Co., Illinois; was buried 13 Jun 1916, Huntley, McHenry Co., Illinois. Alexander Daniel Duff was born 28 Nov 1846, Rutland Twp., Kane Co., Illinois; died 1 Feb 1917, Chicago, Cook Co., Illinois; was buried 5 Feb 1917, Huntley, McHenry Co., Illinois. William Henry Duff was born 13 Feb 1848, Rutland Twp., Kane Co., Illinois; died 27 Sep 1917, River Forest, Cook Co., Illinois; was buried 1 Oct 1917, Huntley, McHenry Co., Illinois. Edwin Duff was born Feb 1850, Rutland Twp., Kane Co., Illinois; died Mar 1850, Rutland Twp., Kane Co., Illinois. Daniel Duff was born 5 Jan 1852, Huntley, McHenry Co., Illinois; died 14 Dec 1929, Norfolk, Madison Co., Nebraska; was buried 19 Dec 1929, Prospect View, Pierce, Pierce Co., Nebraska. Guy Cummings Duff, , M.D. was born 19 Feb 1855, Huntley, McHenry Co., Illinois; died 30 Dec 1928, Chicago, Cook Co., Illinois; was buried 2 Jan 1929, Huntley, McHenry Co., Illinois. 2. James Robert Duff was born 10 Apr 1858, Huntley, McHenry Co., Illinois; died 15 Feb 1939, Pierce, Pierce Co., Nebraska; was buried 17 Feb 1939, Prospect View, Pierce, Pierce Co., Nebraska. Ella E. Duff was born 18 Sep 1861, Huntley, McHenry Co., Illinois; died 21 Jul 1877, Huntley, McHenry Co., Illinois; was buried Jul 1877, Huntley, McHenry Co., Illinois. 6. Albert Pinney Buckley was born 15 Jun 1842, Ellswoth, Connecticut; died 12 Jun 1938, Dundee, Kane Co., Illinois. 7. Julia Ett Root was born 19 Sep 1850, Sharon Valley, Connecticut; died 1 Mar 1929, Dundee, Kane Co., Illinois. 3. Nellie May Buckley was born 5 Aug 1877, Wassaic, Duchess Co., New York; died 21 Feb 1975, Fort Collins, Larimer Co., Colorado; was buried 24 Feb 1975, Prospect View, Pierce, Pierce Co., Nebraska. 8. Robert Duff was born 2 Jan 1771, Kindallachen, Perthshire, Scotland; was christened 4 Jan 1771, Dunkeld, Perthshire, Scotland (son of Thomas Duff and Isabel Robertson); died Abt 1832, Dowally, Perthshire, Scotland. 9. 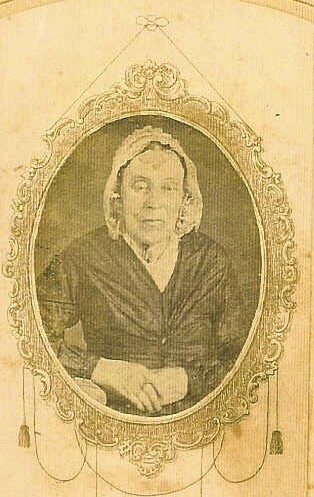 Elizabeth Douglas, Immigrant was born 5 May 1777, Guay, Perthshire, Scotland; was christened 11 May 1777, Dunkeld, Perthshire, Scotland (daughter of Alexander Douglas and Elizabeth (Elspeth) McLangan); died 21 Apr 1873, Dundee, Kane Co., Illinois; was buried Apr 1873, West Dundee, Dundee, Kane Co., Illinois. 4. Daniel Duff was born 9 Jun 1818, Dowally, Perthshire, Scotland; was christened , Dunkeld, Perthshire, Scotland; died 9 Oct 1892, Chicago, Cook Co., Illinois; was buried 12 Oct 1892, Huntley, McHenry Co., Illinois.